CINCINNATI—After Daniel Eckhardt’s corpse was found on the side of a road in Hamilton County, Ohio, last year, police determined he died of a heroin overdose. At least 86 people nationwide received federal prison sentences last year for distributing drugs resulting in death or serious injury, up 16% from 2012, according to the U.S. Sentencing Commission, a federal agency that determines sentencing guidelines for judges. An analysis of news reports found 1,200 mentions nationally about drug-death prosecutions in 2016, three times the number in 2011, according to a recent report by the Drug Policy Alliance, a nonprofit group that supports decriminalizing drug use. In some states, such laws were rarely enforced until recently. Benjamin J. Agati, a veteran prosecutor in the New Hampshire Attorney General’s office, has helped train police departments throughout the state in how to build cases under the state’s drug-induced homicide law, which carries a maximum penalty of life in prison. The law was enacted in the late 1980s but was rarely applied before the surge in opioid deaths, Mr. Agati says. The prosecution's sometimes nab members of drug-distribution gangs like that of Navarius Westberry. Last year, Mr. Westberry pleaded guilty in federal court in Kentucky to operating a drug-trafficking ring that distributed up to a kilogram of heroin and 50 grams of fentanyl over an 18-month period that killed at least one person. He was sentenced to life in prison. Law-enforcement officials say they’ve seen some signs the prosecutions may be deterring dealers, including jailhouse phone calls they say they’ve overheard in which inmates warn associates that police are pressing homicide charges against drug traffickers. They say drug-death prosecutions are just one piece of a broader strategy to combat the crisis, including urging addicts into rehab and taking down large-scale traffickers. A two-hour drive south from Hamilton County, Kerry B. Harvey, the mustachioed U.S. attorney for eastern Kentucky from 2010 to early 2017, made prosecuting drug-deaths a priority around 2015. He used a 1986 federal law that had rarely been applied in the district, which established a mandatory 20-years-to-life sentence for distributing drugs that resulted in death or serious injury. The penalty grew to life in prison for defendants with prior felony drug convictions. Mr. Harvey assigned three prosecutors to work on the cases and began working with local police to investigate overdose deaths as homicides. Since 2015 one of the prosecutors, Todd Bradbury, has convicted 16 people for selling drugs that resulted in death, two of whom received life sentences. One of those convicted was Fred Rebmann, who in 2016 sold $60 of fentanyl to Kathleen Cassity. Ms. Cassity was six months pregnant and died within hours of buying the drugs. Doctors performed an emergency C-section, but failed to save the life of her unborn child. 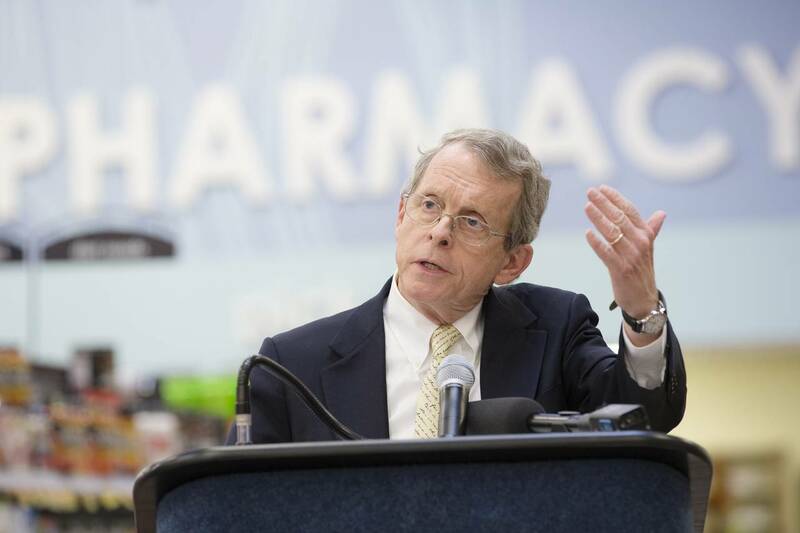 Ohio Attorney General Mike DeWine, shown in early 2016, said the state is suing five drugmakers. Ohio is suing five drugmakers, the state’s attorney general said Wednesday, alleging they fueled an opioid crisis in the state by misrepresenting the addictive risks of their painkillers. The lawsuit, filed in state court in Ross County, targets parent companies and various subsidiaries, including Purdue Pharma LP, Johnson & Johnson , Teva Pharmaceutical Industries Ltd. , Allergan PLC and Endo International PLC’s Endo Health Solutions unit. “The evidence is going to show they knew what they were saying was not true and they did it to increase sales,” Mr. DeWine said. Teva said it is reviewing the complaint and didn’t have an immediate comment. Teva and its Cephalon Inc. unit sell the painkillers Actiq and Fentora. Allergan and Endo declined to comment. Allergan sells Kadian, Norco and generic opioids. Endo, parent of Endo Health Solutions, makes the painkiller Opana. Ohio has been among the states hardest hit by opioid addiction, which has helped drive U.S. overdose deaths to all-time highs. Many people became addicted by taking powerful opioid painkillers, and often then turned to heroin if they couldn’t get access to pills. Public-health officials have long blamed aggressive company marketing and lax opioid painkiller prescribing for sparking the crisis. In an interview, Mr. DeWine said Ohio’s lawsuit is among the most comprehensive taken by any state against opioid-painkiller makers. He said he believed only Mississippi has filed a suit similar in scope to Ohio’s. Some cities and counties, including Chicago and California’s Orange and Santa Clara counties, have also sued opioid painkiller makers, alleging misleading marketing that fueled addiction. West Virginia sued drug distributors, alleging they improperly flooded the state with addictive painkillers. Perhaps the biggest legal hit to a painkiller company came in 2007, when Purdue Frederick Co., an affiliate of Purdue Pharma, and three of its executives pleaded guilty in federal court to criminal charges of misleading the public about the addictive qualities of OxyContin, and agreed to pay the federal government and a group of states $634.5 million in fines. That settlement grew out of a multistate investigation and a federal lawsuit. The four children woke up and were about to start getting ready for school when they found their parents, Brian and Courtney Halye, unresponsive and cold in their bedroom. The children, ages 9 to 13, dialed 911. “My mom's on the floor and my stepdad's basically pale and they're not waking up,” Courtney Halye's daughter told an emergency dispatcher through tears. Indeed, they were dead, and Montgomery County, Ohio, Coroner's Office Director Ken Betz told the Dayton Daily News that the “preliminary indication is probable accidental drug overdose.” Authorities think the culprit may be heroin that was mixed with fentanyl — a deadly combination that has claimed countless lives across the country. 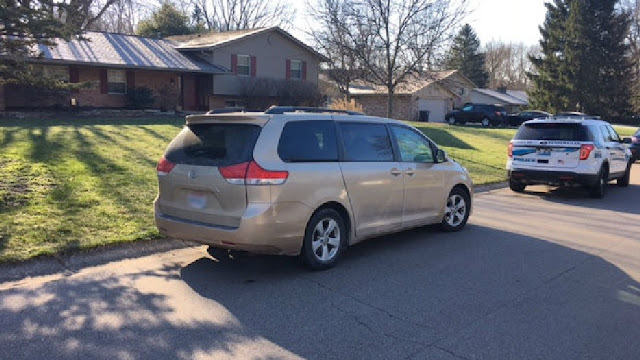 In a second 911 call Thursday from the home in southwestern Ohio, another child, a 13-year-old, tried to answer a dispatcher's questions as his siblings could be heard wailing in the background. “Are they breathing?” the dispatcher asked. “I don't think so,” the boy responded. “Have they been feeling ill?” a medic asked. “They said that my stepdad's face was pale and there was black lines all over his face,” the boy then said. “Are they warm or cold to the touch?” the medic said. “They were very cold,” he responded. “Do you guys have gas appliances?” the medic asked. “What is a gas appliance?” he replied. He could be heard sniffling as the recording cut out. As with much of the United States, Ohio is in the throes of a ruthless opioid epidemic that shows no signs of abating. Children have become innocent victims; some have seen their parents shoot up and overdose, occasionally with fatal consequences. Others have unwittingly and unwillingly faced overdoses themselves. In September 2016, a chilling photograph distributed by the authorities captured the innocence lost on a 4-year-old’s face in East Liverpool, Ohio, where a man and woman were seen slumped over after overdosing in a vehicle, the boy still strapped into his car seat in the back. A week later and 600 miles away, at a Family Dollar store in Lawrence, Mass., a hysterical toddler was captured on a cellphone video as she tried to wake her mother after an apparent drug overdose. The video showed the toddler, dressed in pink-and-purple “Frozen” pajamas, pulling her mother’s fingers, then sitting down beside her and shaking her mother’s face. In October, a 7-year-old girl in McKeesport, Pa., told her school bus driver that she hadn’t been able to wake the adults in her house for days, and that their bodies were beginning to change colors. She had been caring for three other children in the home — ages 5, 3 and 9 months — and had gotten herself back and forth to school, police said. Her parents were dead. Synthetic opioids, including heroin and its deadlier cousin, fentanyl, are the main drivers of overdose deaths across the United States, according to data from the Centers for Disease Control and Prevention. The Ohio Department of Health reports that the number of opioid-related deaths in the state skyrocketed from 296 in 2003 to 2,590 in 2015 — a 775 percent jump over a 12-year period. 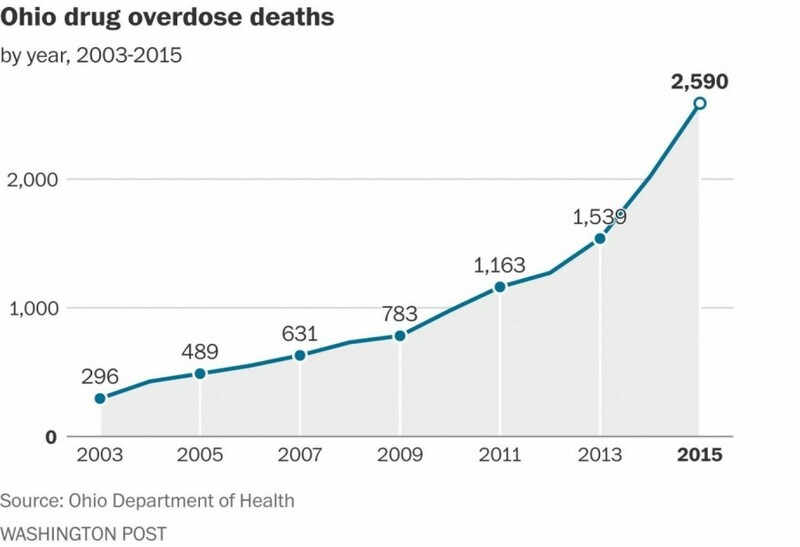 These numbers include deaths involving prescription opioids, heroin and fentanyl, which is similar to morphine but is 50 to 100 times as potent. Centerville police spokesman John Davis said Brian and Courtney Halye were the city's fifth and sixth fatal overdose victims this year. Last year, there were just five. “It doesn't matter who you are or where you are — this epidemic knows no boundaries,” Davis told The Washington Post, adding that the Centerville case illustrates that. Davis said the couple's deaths appeared to be drug-related because drug paraphernalia was found at the scene and that it “meets all the criteria” for a heroin-fentanyl overdose. But authorities are awaiting the toxicology results, he said. Davis said the danger is that, in many cases, drug dealers have no idea what they are selling — and users have no idea what they are buying. 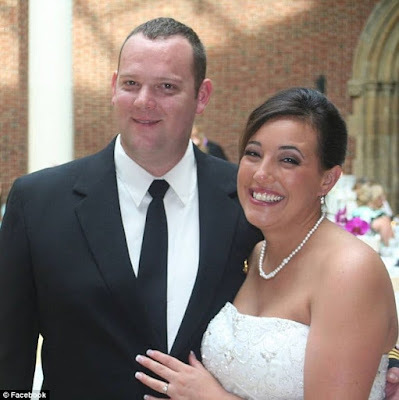 Brian Halye, a 36-year-old pilot for Spirit Airlines, married Courtney in 2013, according to his obituary. Each had two children from previous relationships, police said. Spirit Airlines said in a statement that Halye had worked for the company for more than nine years and had flown his final flight March 10. 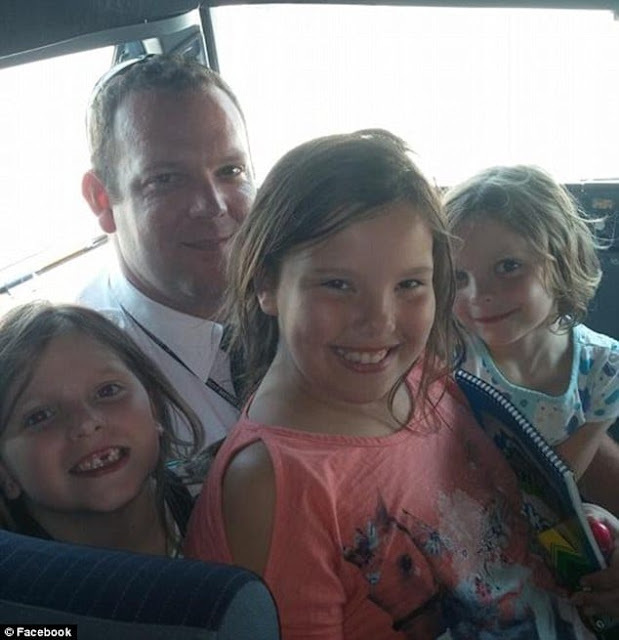 “Our hearts go out to the family, friends, and colleagues of Captain Halye,” Spirit Airlines spokesman Paul Berry said in a statement. Berry said that Transportation Department and Federal Aviation Administration regulations require airlines to conduct tests for pilots, flight attendants, mechanics and dispatchers, including “random and reasonable suspicion drug and alcohol testing.” If someone in one of these “safety-sensitive positions” tests positive, that person would be “immediately removed from their position,” he said. Another spokesman said the company would not be providing any further comment. The Dayton Daily News reported that Courtney Halye apparently had a history that involved drugs. In 2007, Jacob Castor, her then-husband and father of her children, died of a drug overdose, the newspaper reported, citing the Montgomery County Coroner’s Office. In 2009 she was convicted of felony drug possession, although the case was later expunged, according to the Dayton Daily News. In January of 2016, Nancy Casey, Courtney Halye’s mother, contacted Centerville police and said she felt her daughter threatened to harm herself and was abusing narcotics. Casey told officers her daughter had been “hooked on drugs” on and off for about seven years. The mother suspected her daughter was high when talking with her that day, the report said. In that same report, which covered events of Jan. 5-6, 2016, Brian Halye contacted police after he had returned from Detroit, where he worked for Spirit Airlines as a pilot. Brian Halye told officers he had called and texted his wife, who had hung up on him and would not tell him where she was. Police used her cellphone to determine she was in east Dayton but did not immediately find her. When officers found her vehicle, Courtney Halye was not there. Later on Jan. 6, 2016, Brian Halye told police his wife had returned to their house but had locked him out. He worried that she was trying to get to two unloaded guns he kept inside, so he forced entry. Courtney Halye was holding both guns, the report said, and her husband took them from her just as officers arrived there. Police said that she appeared mentally unstable and possibly intoxicated or having a medical issue related to diabetes. The officer requested medics, who took her to the hospital for treatment. Casey recently told NBC News that Courtney Halye had Type 1 diabetes and was on medication for depression; but she said she did not think her daughter and son-in-law had a persistent drug problem. “I don't know if they decided they were going to party, or went and they got ahold of this bad stuff going around town,” Casey said. But she added that she had been concerned since she talked to them the day before the couple was found dead. 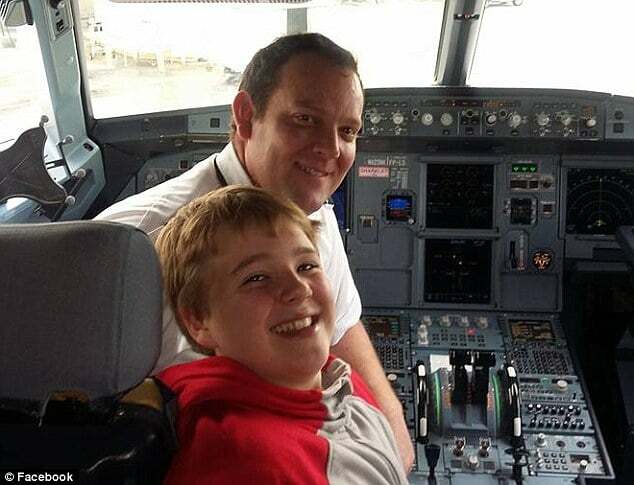 The Spirit Airlines pilot whose death authorities call a likely overdose may not have been drug tested in years, because while federal regulations require airlines to drug test under certain conditions, airline pilots are not drug tested during yearly physical exams. Centerville police have not indicated whether they believe Brian Halye, 36, had used drugs on occasions prior to his March 16 death alongside his wife, Courtney Halye, 34, who had a history of drug use, according to police reports. Nor has Spirit Airlines said whether and when its 9-year veteran pilot was drug tested, though the company said it follows the law. Federal regulations require airlines to administer pre-employment, reasonable suspicion, random, post-accident, reasonable cause and follow-up testing for drugs and alcohol, a Federal Aviation Administration spokeswoman said. “In other words, there are several times during a pilot’s air transport career when he or she will be tested,” said Elizabeth Cory, an FAA spokeswoman, by email. But the exact operating specifications that cover each airline’s operations, including crew training, testing, and oversight are proprietary, Cory said, and cannot be released under the federal Freedom of Information Act. A Centerville police spokesman said the department reached out to Spirit Airlines as part of the investigation, but could not elaborate on the nature of contact. Officer John Davis, the department spokesman, said whether the pilot used drugs during his time as an airline pilot is not the main focus of the death investigation. Spirit Airlines said the carrier operates “with the highest degree of safety” and is “fully compliant” with FAA and U.S. Department of Transportation regulations regarding drug use and testing on “safety-sensitive employees,” including pilots, flight attendants, mechanics and dispatchers. “In the event that someone in a safety sensitive position tests positive, they would be immediately removed from their position,” airline spokesman Paul Berry said in an email statement. The airline has not addressed the newspaper’s requests for the dates and results of Halye’s drug tests. Pilot medical exams required by law might not detect drug use either, experts said. Pilots must possess valid medical certificates to fly. 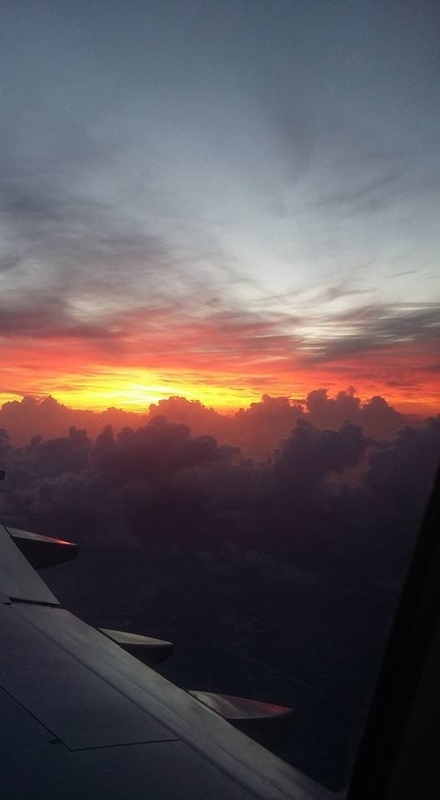 For pilots under age 40, the first-class medical certificate must be updated every 12 months. In Halye’s case, his last medical certificate was issued in September 2016, at which time he would have been required to undergo a medical exam. But the corresponding medical exam would not have required a drug test, Pruchnicki and other experts said, as urine collected during the exam isn’t tested to detect drugs, but diseases. The OSU lecturer said the cost of drug testing is cost prohibitive and burdensome to pilots who may be victim to false positive results. Age 36, of Centerville, Ohio, passed away unexpectedly Thursday Morning, March 16, 2017 at home. He was born November 26, 1980 in Kettering, son of James & Cindy (Groves) Halye. On June 29, 2013 in Dayton, Ohio, he married Courtney Castor Halye, who also passed away on March 16, 2017. Brian worked as a Pilot Captain for Spirit Airlines, had attended the Seventh-day Adventist Church, and was a 1999 graduate of the Spring Valley academy. In addition to his parents, other surviving family members are his daughters- Elaina & Lydia Halye, both of Centerville; mother of the children- Rochelle Dyer, Centerville; step-children- Coby & Carly Castor, both at home; sister- Kathleen (Jorge) Delgado, Delaware, OH; brother- Myles (Jessica) Halye, Jamestown; Paternal grandmother- Nayon Halye, Hamburg, PA; maternal grandparents- Clarence & Marge Groves, Flagler Beach, FL; and many loving aunts, uncles, cousins, and friends. Funeral Services will be held 10 AM, Tuesday, March 21, 2017 at Fisher-Edgington Funeral Home, 97 West Locust Street at North Mulberry Street, Wilmington with Pastor Roy Lawinsky officiating. Interment will follow in the Miller Cemetery, Wilmington, Ohio. Friends will be received from 4-7 PM Monday evening, March 20 at the Fisher-Edgington Funeral Home, Wilmington. Contributions may be made to the Wings of Mercy Inc., 100 South Pine Street, Suite #393, Zeeland, MI 49464. To sign the online guest book, please go to edgingtonfuneralhomes.com. Courtney Ann Age 34 of Centerville, Ohio. Born February 25, 1983 in Kettering, Ohio, died March 16, 2017. Courtney was a kind loving generous soul. She had a smile that lit up a room which made her very much loved by all her family and friends. Courtney was a wonderful nurturing mother to two beautiful children. She is preceded in death by her sister Kelly Casey, husbands Jacob Castor and Brian Halye. Courtney is survived by her children Coby and Carly Castor, step-daughters Elaina and Lydia Halye, mother Nancy Casey, her "two dad's" Daniel(Cheryl)Casey and Matthew(Abby)Tyner, grandparents Ann (John) Hogberg and extended family and friends. Family will receive friends 4:00PM to 6:00PM Tuesday, March 21, 2017 at the TOBIAS FUNERAL HOME-Far Hills Chapel; where service will be held 6:00PM Tuesday with Jeffrey Campbell of St. John's UCC officiating. In lieu of flowers contributions can be made in Courtney's memory to the American Diabetes Association 2555 S. Dixie Dr. Dayton, Ohio 45409. March 17--Federal Aviation Administration officials said the medical certifications of the deceased Spirit Airlines pilot from Centerville who died of a likely drug overdose were up-to-date but have not said why the agency's publicly-available database used by crash investigators suggests he was unable to fly any aircraft in the United States. 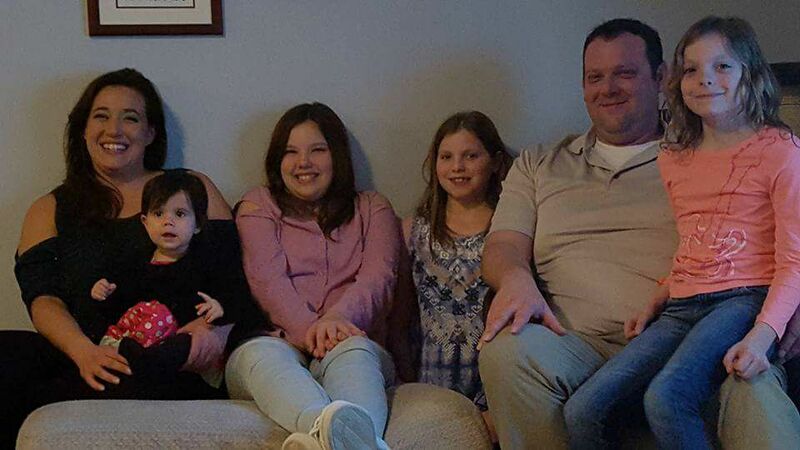 The four children of Brian Halye, a pilot, and Courtney Halye found the couple dead in the bedroom of their Centerville home Thursday in Montgomery County Coroner's Office Director Ken Betz called a "probable accidental drug overdose." Betz said examinations on the couple have been completed, but a final determination on the cause and manner will take six weeks until toxicology reports are completed. Since Jan. 1, Montgomery County has had 155 accidental drug overdoses, Betz said. The case attracted national media attention Friday. Officer John Davis, Centerville Police spokesman, said, "I think maybe just where it occurred, and what occurred, has drawn some attention to that. I know that the speculation as to Mr. Halye's employment has also drawn attention to it. That's not the focus of our investigation at this time." Investigators have not given any indication the Spirit Airlines pilot used drugs prior to his death. 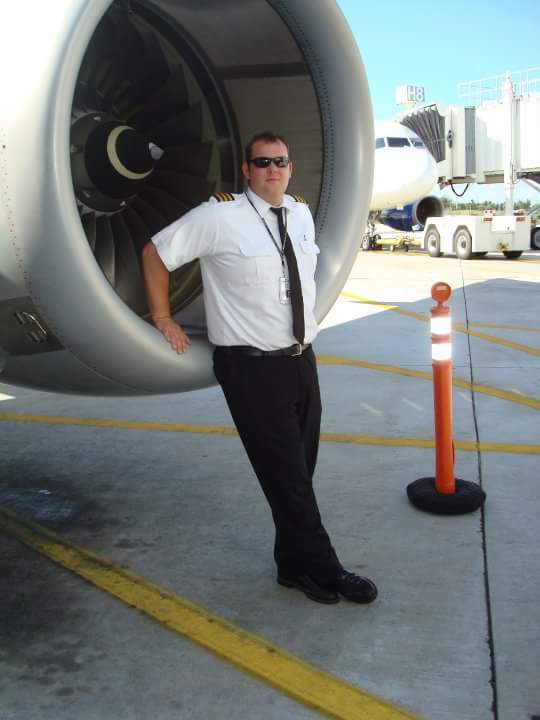 Brian Halye's last flight for the company before his death was March 10, a Spirit Airlines spokesman said. Questions remain about why a federal database did not show up-to-date information on Brian Halye. Aviation safety expert Shawn Pruchnicki of Ohio State University told the Dayton Daily News the database is one of the tools used by the National Transportation Safety Board during investigations of air disasters. The FAA told the Dayton Daily News on Thursday that Brian Halye had a valid first-class medical certificate allowing him to fly. But the agency could not definitively answer why the public database of airmen indicated the certificate expired more than four years ago. The Dayton Daily News has filed a federal Freedom of Information Act request for Brian Halye's medical certificates. Pilots must hold valid medical certificates in order to fly. The Airline Transport Pilot certificate, which he held, requires a first-class medical certificate, which must be updated every 12 months for a pilot under the age of 40. Brian Halye was 36. The FAA database lists Brian Halye's medical certificate date as September, 2011, more than five years ago. No class of pilot is allowed to go that long without a medical exam. Asked Thursday to double check, Cory said Brian Halye's certificate was up-to-date, with it due to expire this fall. "I'm not sure why the online database does not have that information," Cory said in an email to the Dayton Daily News on Thursday. "The system could be in the process of update." The database is updated each federal working day at midnight, according to the FAA's website. 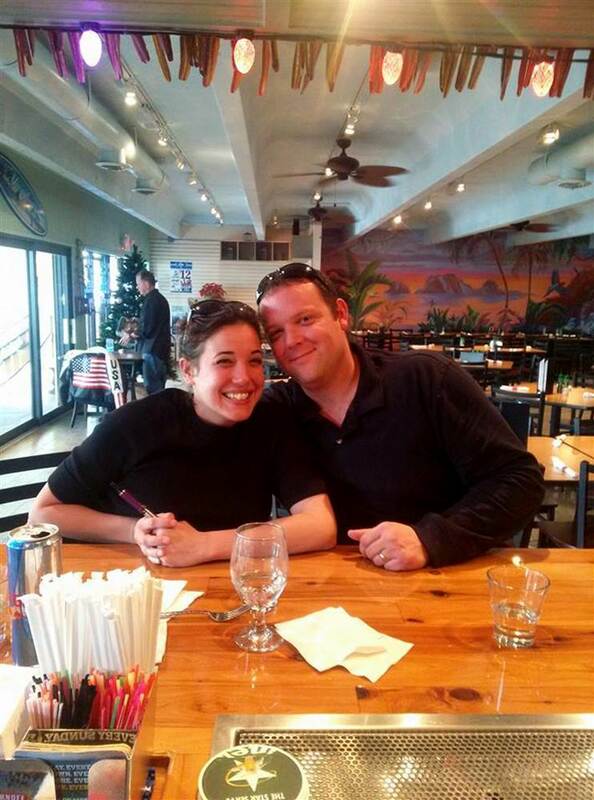 Cory said she asked another FAA employee on Thursday to check Brian Halye's medical certification. The employee, a medical doctor, Cory said, "went into the airman's file and looked it up." "The online database is one of many that we have," she said Friday. "It is a very basic listing of name and certificate. It is separate from an in-depth medical file. It is not the only database we have." Pruchnicki, a lecturer at OSU's Center for Aviation Studies and a pharmacist, said he's never had a problem seeing his medical certifications in the airmen database. "I've always been able to pull up my own medicals to see," said Pruchnicki, a former Comair pilot, after hearing about the FAA's response to the newspaper. The newspaper has asked Spirit Airlines if it is conducting an internal investigation into Brian Halye's death. The airline did not respond at time of publication. Martin Rottler, also an OSU lecturer, said he did not expect "anything nefarious" was going on with the FAA's records. "They have several hundred pilot records that are in there," Rottler said. "The carriers and the FAA have better records and far greater records than what you'll find on the FAA database." Brian Halye had two children from a previous marriage, as did Courtney Halye. Her former husband, Jacob Castor, died in August 2007 from an accidental drug overdose, according to the Montgomery County Coroner's Office. Two of the children attend Centerville schools. The other two attend Spring Valley Academy. Spring Valley released a statement Friday that read in part: " ... we are doing all we can to provide all appropriate support for them and all their classmates who are affected by this heartbreaking loss. As a Christian community we take comfort in the promise of ultimate healing, restoration, and resurrection but at the moment we are deeply grieving with our students and their families." Authorities on Friday were investigating the deaths of a Spirit Airlines pilot and his wife whose bodies were found by their children in their southwestern Ohio home. A coroner said the preliminary cause of death for both appears consistent with a drug overdose. Pilot Brian Halye, 36, and wife Courtney, 34, were found dead Thursday in a bedroom of their home in Centerville, south of Dayton, police said. The couple's children can be heard on a 911 call after their parents failed to wake them for school. "They were very cold," their son told a dispatcher while his three sisters can be heard crying in the background. The son added that they found their parents in bed not breathing and that his sisters described their father's face as "pale and there was black lines all over his face." Spirit Airlines confirmed Friday of Halye's appointment and said his final flight was March 10. "Captain Halye served at the airline for just over nine years," Spirit Airlines said in a statement, noting that they run random drug and alcohol tests on all employees. The airlines said anyone who tests positive for drugs is immediately fired. Although authorities are still investigating, they say the deaths appear to be drug-related and are consistent with a heroin or fentanyl overdose. A toxicology report will take four to six weeks. Centerville police added that the deaths appeared to be drug-related because narcotics paraphernalia was found at the scene. 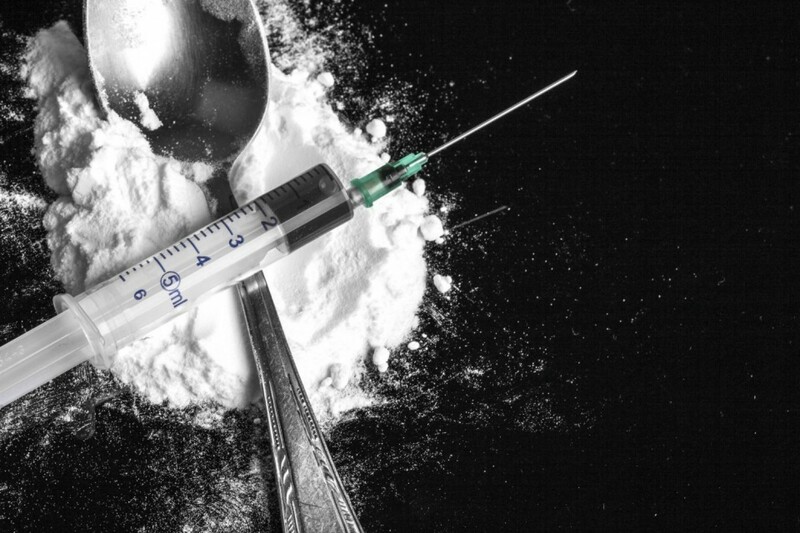 The director for the Montgomery County Coroner's Office said heroin overdoses have reached "record numbers for January and February." Courtney Halye's mother, Nancy Casey, said her daughter was a Type 1 diabetic, suffered from depression and was on medication. But Casey, 51, believes heroin or drugs were not a persistent problem in the parents' lives, and added that her daughter was well-liked and described her as "a light in the room." "I don't know if they decided they were going to party, or went and they got a hold of this bad stuff going around town," she told NBC News, noting that her daughter should not be characterized as an "addict" or "low-life." But she had a bad feeling after she talked to them earlier in the day. "I had this dreadful feeling all day," Casey said. "Something was off with her and something was off with him." CENTERVILLE - Four children found their parents – including their airline pilot father – dead Thursday in their Centerville, Ohio, home in what investigators said appears to be the latest incident in a scourge of drug deaths plaguing Montgomery County and Ohio. 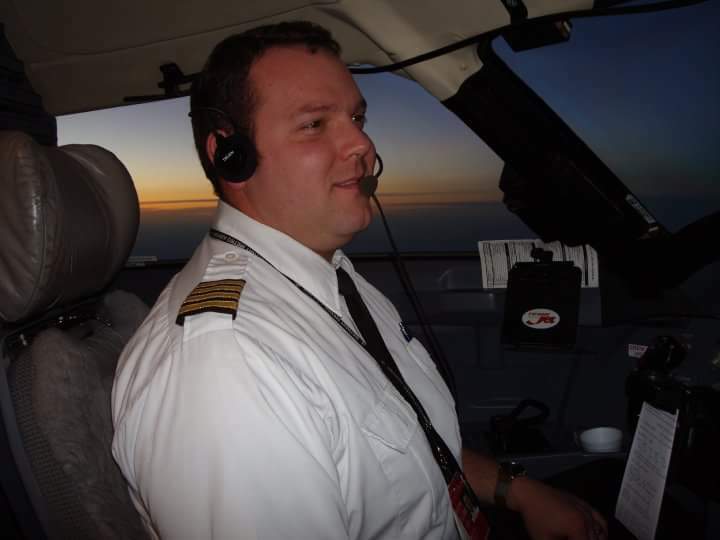 The husband, Brian Halye, was an active pilot for Spirit Airlines, flying for them nine years, and captaining a passenger jet as recently as last Friday. He and his wife, Courtney Halye, were found in a bedroom of their home on East Von Dette Circle, a suburban cul-de-sac. Official causes of death for the couple have not been released, as a full medical exam will be performed today. “They were very cold,” said the oldest child, politely answering “yes, ma’am” to the dispatcher as his sisters cried in the background. The children ran outside the home to relatives as police conducted an investigation. By 10:30, police and emergency response vehicles cleared the usually tranquil neighborhood. The Halyes purchased their home in summer 2013. The neighborhood, Pellbrook Farm, is just southwest of the Ohio 725-Wilmington Pike intersection. The quiet suburban cul-de-sac features homes valued around $150,000 to $225,000. Warren County Court records show Brian Halye was divorced in 2011 in a shared parenting case. Courtney Halye was convicted of a felony drug possession charge in 2009, but the case was expunged. Her previous husband Jacob Castor, the father of two of the children, died in 2007 at age 27. Neighbors were stunned by Thursday’s news. Halye last flew for Spirit on Friday, according to the “ultra low fares” carrier. The pilot’s social media accounts indicate he was based at its Detroit operations center. The airline does not provide service to Dayton International Airport. 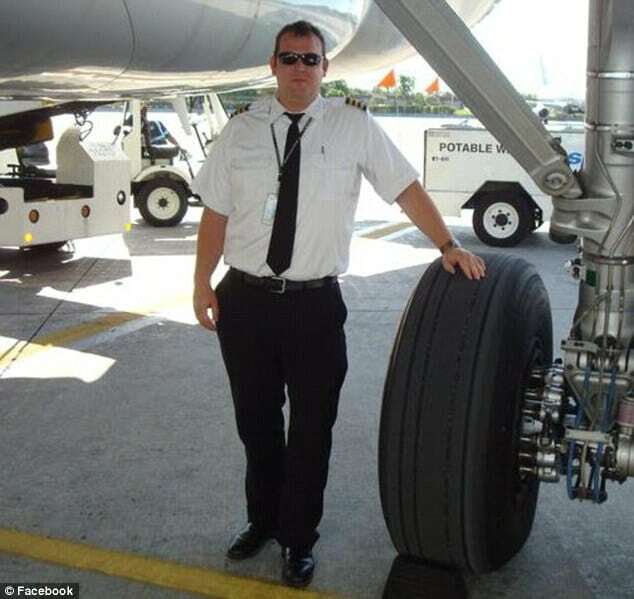 “Captain Halye served at the airline for just over nine years,” Paul Berry, the company’s spokesman, said in a statement expressing the company’s sympathies to his family, friends and colleagues. The Dayton Daily News asked Spirit Airlines officials to provide more details about Halye’s last-flown routes and upcoming flights, as well as the dates and results of any drug screenings. Spirit declined to answer. Federal regulations require employers to administer drug and alcohol testing in pre-employment, reasonable suspicion, random, post-accident, reasonable cause and follow-up situations, Federal Aviation Administration spokeswoman Elizabeth Cory said. Pilots must hold valid medical certificates in order to fly. The Airline Transport Pilot certificate, which Halye held, requires a first-class medical certificate, which must be updated every 12 months for a pilot under the age of 40. Halye was 36. The FAA database lists Halye’s medical certificate date as September, 2011, which would mean the certificate expired more than four years ago. Asked to double check, Cory said Halye’s certificate was up-to-date, with it due to expire this fall. Dr. Richard Garrison is among the doctors who conducts such tests locally. Garrison said that exam is roughly similar to an annual physical, and also includes vision testing and EKG heart tests for pilots over a certain age. But he said those exams do not include substance-abuse testing. Multiple-death overdoses at a single site happened at least four times in Montgomery County in 2016 — including to Jamie Haddix and Darrell Morgan, who were found dead on Christmas Eve. The place where they died, a four-unit apartment building on Wiltshire Boulevard in Kettering, isn’t ground zero in the region’s opioid crisis because there is no ground zero. Centerville ranked comparatively low on Montgomery County’s 2016 overdose list, with only five residents dying from drug causes, according to preliminary coroner’s data. That’s much lower than comparably sized Trotwood (17), Miamisburg (14) and Riverside (13). But nearly every community in the county had a spot on that list, which included 355 deaths. Henderson said so many students know each other not only from school, but from sports and other cross-community activities that a tragedy like this can have a wider impact that people might think. The Federal Aviation Administration and Spirit Airlines “quickly became aware” of pilot Brian Halye’s likely drug overdose death, a spokeswoman for the federal agency said Monday. Spirit Airlines also released new information to the Dayton Daily News and NewsCenter 7 about how it drug tests pilots, though the company has not said if it is internally investigating Halye’s death. Halye, 36, of Centerville, and wife Courtney Halye, 34, were found dead Thursday by their four children. Their deaths appear to be drug-related, according to Montgomery County Coroner’s Office Director Ken Betz. Investigators have not given any indication the Spirit Airlines pilot used drugs before the incident that led to his death. Halye’s last flight for the company before his death was March 10, a Spirit Airlines spokesman said. The Dayton Daily News last week asked Spirit Airlines to provide more information about Halye’s employment, including the last route he flew and scheduled flights, the dates and results of any drug screens during and before his employment, and whether the carrier was aware of Halye’s apparent drug use. The company initially declined to respond, though the Dayton Daily News continued to ask for comment over the weekend. On Monday, Spirit Airlines provided the newspaper with additional details about the airline’s drug policy, but the company did not say if it is internally investigating the matter, or the last time Halye was tested. “Spirit Airlines is required by federal regulations to operate with the highest degree of safety,” said Spirit Airlines spokesman Paul Berry in an emailed statement. U.S. Department of Transportation and Federal Aviation Administration “regulations require that the airline conduct various drug and alcohol tests on all safety-sensitive employees including pilots, flight attendants, mechanics and dispatchers,” Berry said. “These tests include, but are not limited to, pre-employment, random and reasonable suspicion drug and alcohol testing. Spirit Airlines is fully compliant with these DOT and FAA regulations,” Berry said. “In addition, Spirit Airlines has implemented and maintains a number of programs, in cooperation with its pilot union, that exceed any federal mandates, designed to detect, report and assist employees with potential life challenges,” he said. “In the event that someone in a safety sensitive position tests positive, they would be immediately removed from their position,” Berry said. The FAA and Spirit Airlines stay in “constant contact,” an FAA spokeswoman said, noting both organizations “quickly became aware” of the pilot’s death. On Monday, the FAA confirmed the agency’s public database of pilots was updated to reflect the most up-to-date medical information about Halye, following the newspaper’s discovery of a discrepancy in agency records. Last week, the federal agency’s database of pilots suggested Halye’s last medical certification was issued in September 2011, though the spokeswoman said Halye’s medical certification was up-to-date. The discrepancy was due to a duplication of files in the agency’s master database when Halye elected not to use his Social Security number when filing his certification, something that “happens occasionally,” according to FAA Spokeswoman Elizabeth Cory. The updated database lists Halye’s last medical certification as September 2016. While a urine sample is taken during the tests, the sample is tested for diseases but not drug use. 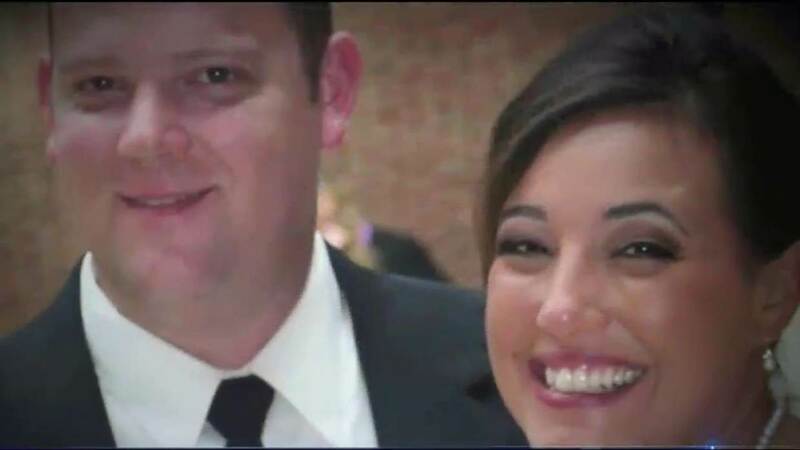 MIRAMAR, Fla. (WDTN) – Spirit Airlines, based in Florida, released a written statement after the death of one of their pilots and his wife last week in Centerville from an apparent overdose. “Spirit Airlines is required by Federal Regulations to operate with the highest degree of safety. The DOT and FAA regulations require that the airline conduct various drug and alcohol tests on all safety-sensitive employees including pilots, flight attendants, mechanics and dispatchers. These tests include, but are not limited to, pre-employment, random and reasonable suspicion drug and alcohol testing. Spirit Airlines is fully compliant with these DOT and FAA regulations. In addition, Spirit Airlines has implemented and maintains a number of programs, in cooperation with its pilot union that exceed any federal mandates, designed to detect, report and assist employees with potential life challenges. 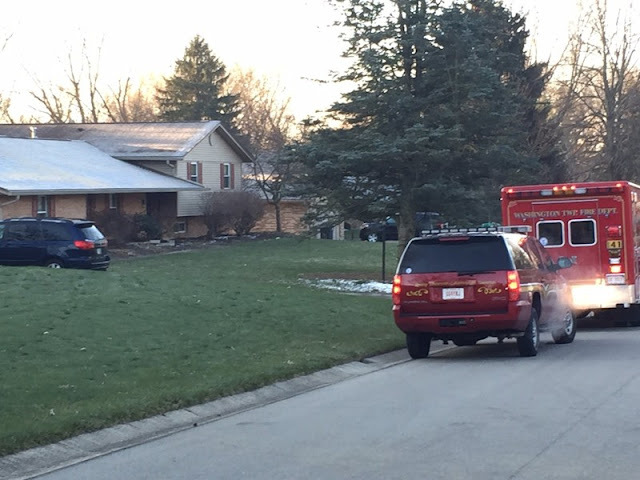 The Montgomery County Coroner’s Office said Thursday Brian Halye, 36 and his wife Courtney Halye, 24 were found dead in their Centerville home after an apparent overdose. Police said at the time they believed the deaths to be related to the drugs that were found in the home. There were four children inside the home when the deaths happened.